After a weekend full of great beach basketball fun in Castelldefels, and with the adrenalin of the first week of training camp still very high, the start of second week of camp promises to continue with the same intensity and expectations, teaching individual technique and core values of life skills to our campers. We are proud of our training facilities at Gornal Municipal Gym in L’Hospitalet; they provide us with everything we need to accommodate our camp. As usual on opening day, we give a presentation of the Audie Norris Basketball Camp to the parents of our new campers before we start the camp. It’s our policy to keep the parents informed, in order to explain them not only the schedule and the training dynamics but our interest for creating good atmosphere for our campers. In a globalized world through basketball, we can connect people with the same passion. With one specific language which is English. We communicate in English, it makes communicating easier for our campers from China, Switzerland, Germany, Scotland and Spain as well. And in this second turn we have some campers from the first one that want to repeat the experience and to continue improving their skills. We are delighted about the interest the campers have shown since the first moment and their ambition to work hard and enjoy playing. To start 2nd week of the Audie Norris Basketball Camp, we had the opportunity to learn from a master of physiotherapy the one and only Toni Bové. Toni has spent 34 seasons working for the FC Barcelona basketball team, he was very instrumental in keeping our coach Audie Norris healthy during his 6 years with F C Barcelona, and he has been a part of the Spanish National Basketball Teams that participated in nine Olympic Games. 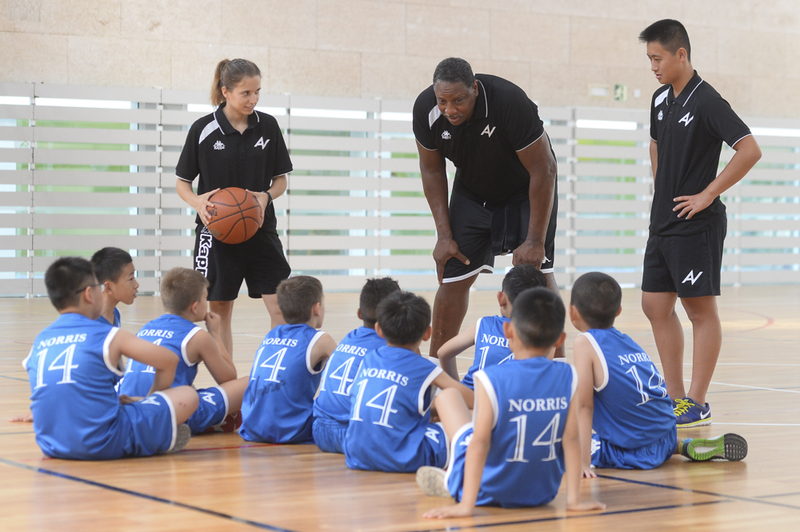 He has worked with some of the top players in Spanish basketball history, players such as; Juan Antonio San Epifanio, Pay and Marc Gasol, Juan Carlos Navarro, Ricky Rubio, Fernando Martin Chico Sibilio and Juan Del A Cruz just to name a few. Toni had a valuable message for our campers about per-game meals, tips on how important stretching is before and after games, the importance of wearing the right types of basketball shoes for training and games, How young players can use their own body weight to strengthen their muscles examples; push-ups, sit-ups and leg extensions. 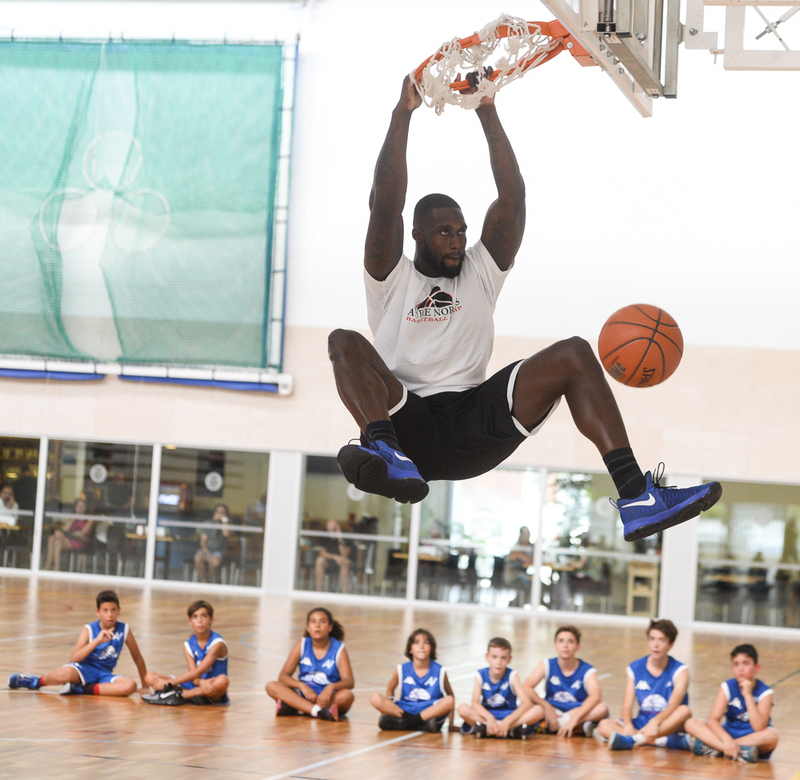 Toni has also been asked about his time spent with several NBA teams like the Lakers, Golden State Warriors and the Denver Nuggets, learning from the NBA trainers to improve his skills as a Trainer for F C Barcelona and the Spanish National Teams. Toni Bove has been able to enjoy the best generation of basketball in Spanish history. For many people, Bové has miracle hands. 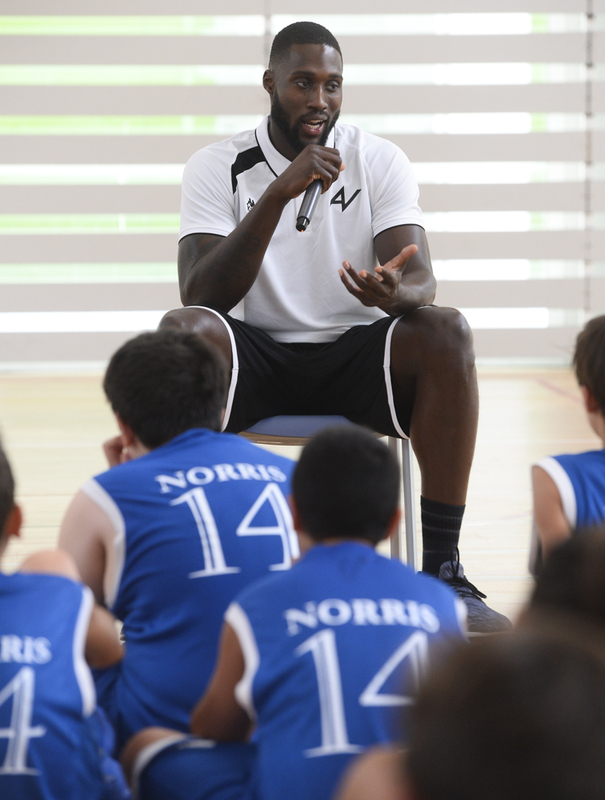 The Audie Norris Basketball Camp will continue to provide personalities for our campers, we feel that the information that they receive will help them with their career choices later in life. David aka ¨Megatron¨ Gabriel joins the coaching staff. We welcome David Gabriel aka ¨Megatron¨to the Audie Norris Basketball Camp coaching staff. Megatron will be with the camp for the next two weeks, he is a street basketball legend with And, Court Kingz and the Harlem Globetrotters. Megatron is famous for his powerful dunks that shatters backboards and brings the fans to their feet. He also has a message for the young campers about staying in school, following your dreams and never stop learning the game. Megatron has a similar story the many basketball players have shared including coach Norris, about the respect for the game and that little round orange ball, it has given them the opportunity to travel the world.